Since we are putting in the pizza oven and hanging herb garden in the back patio area, we have had to do a little shuffle of plants and furniture into other outside areas. 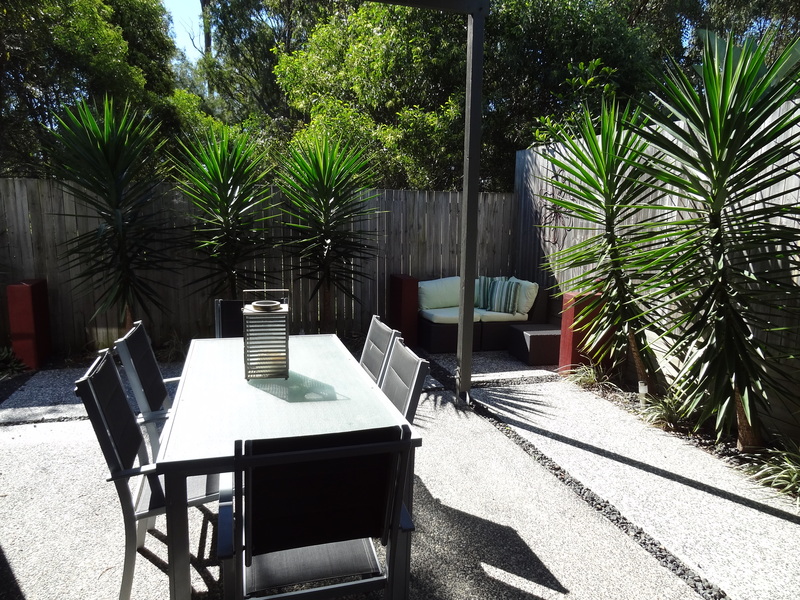 Our outside alcove area that sits between our master bedroom and dining room has always been a bit of a ho-hum area. We really have struggled to do something with it that we like. Up until recently we had a water feature out there but I have been waiting for inspiration to hit. With no idea in sight and sick of not utilising the area, I just took the bull by the horns and started. We had to move the couch from the back patio to make way for the pizza oven so I moved it to the alcove. Here is a pic of where it once stood. Its green covers were looking less than their best, so I investigated recovering the cushions as they were in satisfactory condition. Good outdoor appropriate material was going to cost me near $50 a metre and the sewing would have taken a good deal of time and sewing skill, which I don’t really have. I was beginning to think I would have to put up with the green covers a little longer. But once again, the Ikea Gods looked favourably on me and provided a solution. 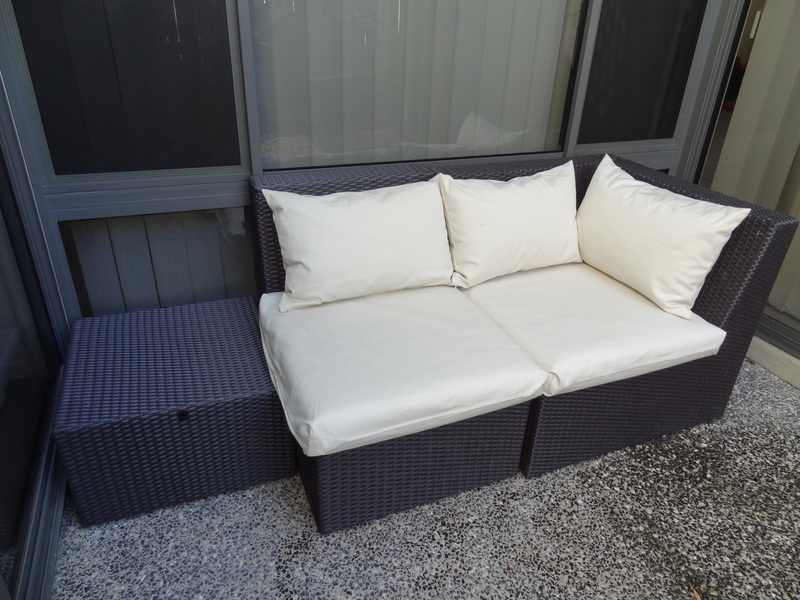 I took a look in their outdoor furniture section, which I have never have done before and I found on clearance, seat pads and cushions exactly (well almost) the size I needed for the suite. 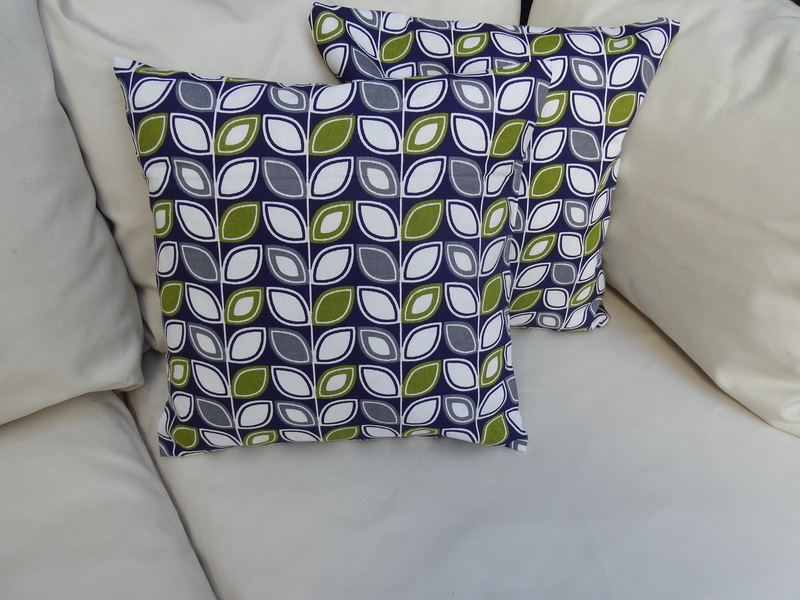 They came in a nice neutral tone which suited me as I often like to change things up with scatter cushions in different colours and prints. Picking up some canvas material from the local craft store, I decided to make some envelope cushions for the suite. 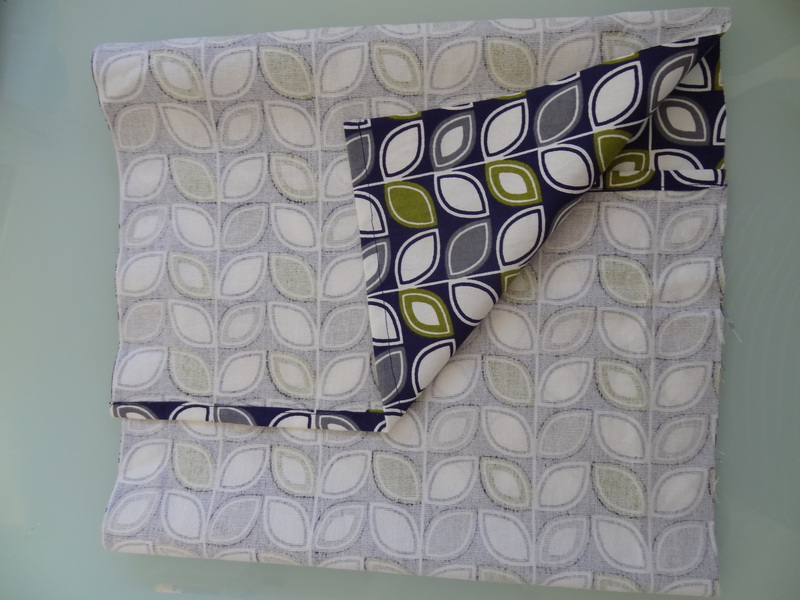 You too can make these with little investment of time or sewing ability as they have only 4 seams and no zip. 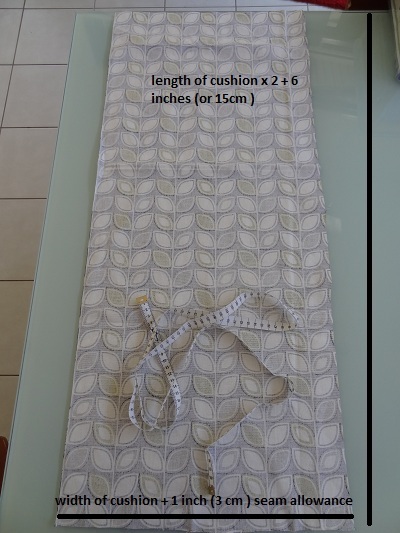 If you want to cut this work down even more, pick up a nicely printed large tea towel for your cushion material and you will only have to sew the side seams. 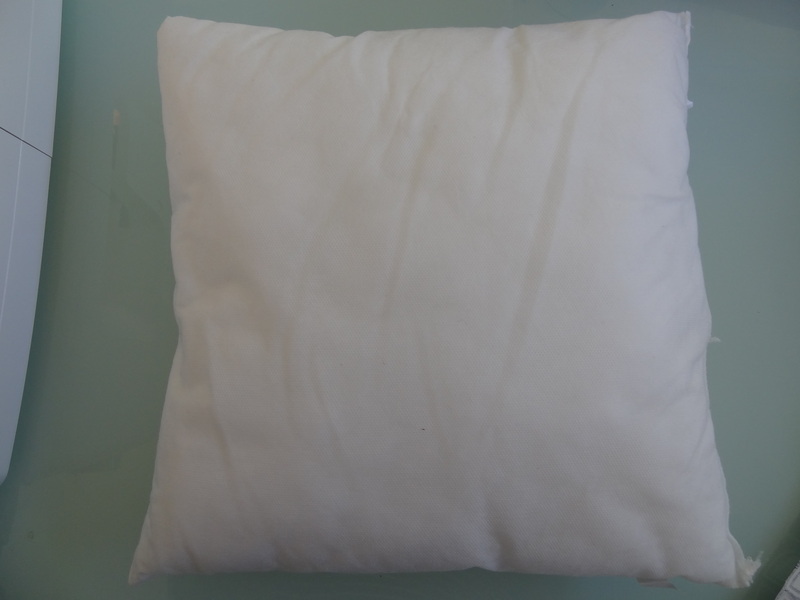 My pillow is 13 x 13 inches (35 cm). I was a little generous with this measurement making sure I didn’t under-measure. Hem the two small edges of your fabric. I used a 1/2 inch (1 cm) seam allowance. 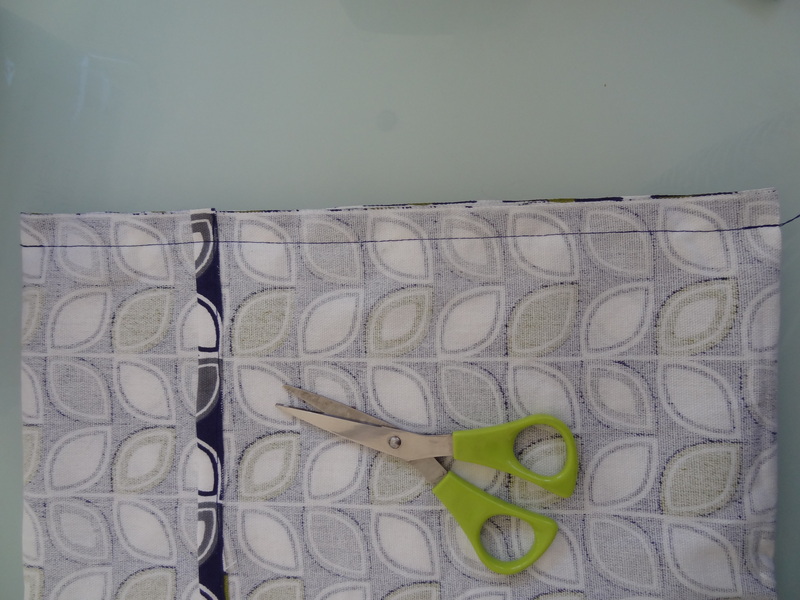 Fold the small edges of your fabric towards the middle allowing these edges to overlap by 4 1/2 in or 12 cm. Makes sure you fold the material so that the printed side is facing the inside. 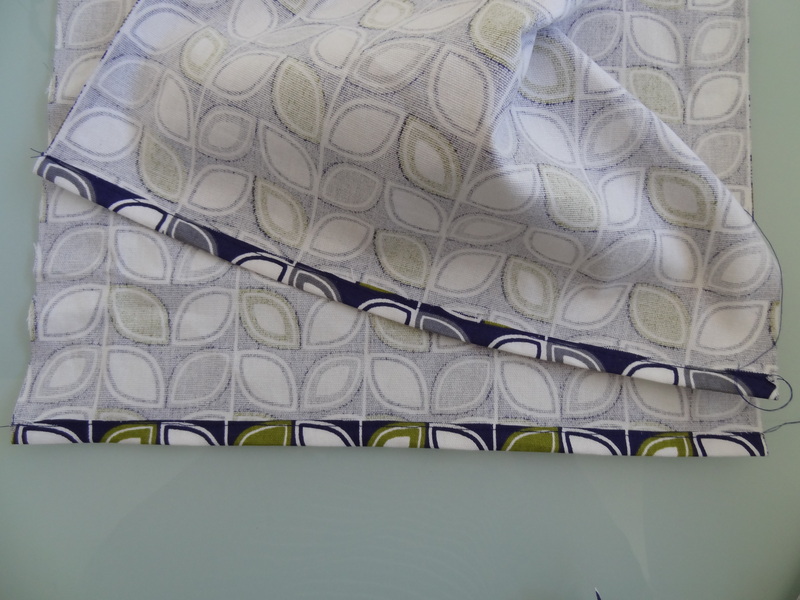 Sew along the side seams using a 1/2 in or 1 cm seam allowance. Turn your cushion right side out and fill. 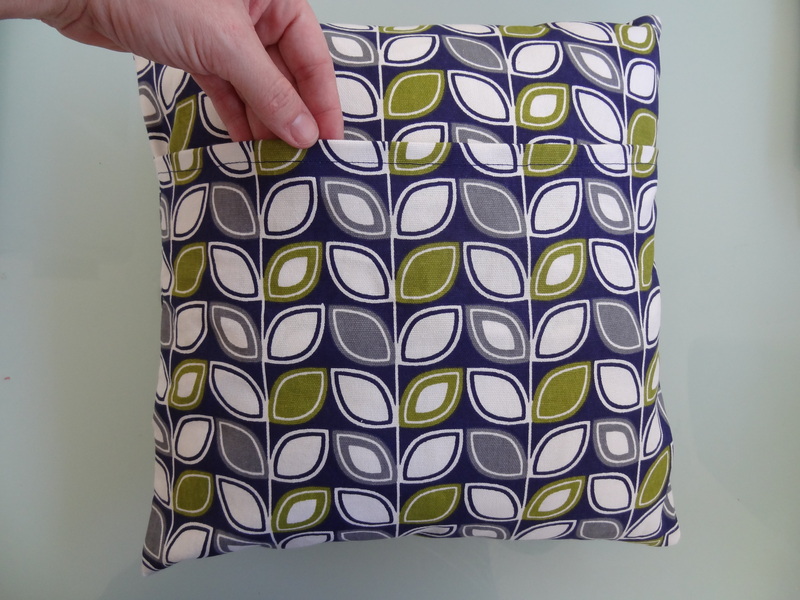 I have added only a little wiggle room for the cushion – 1/2 in or 1 cm for both the width and length as my cushions did no have much height and I like my cushion to look generously stuffed. 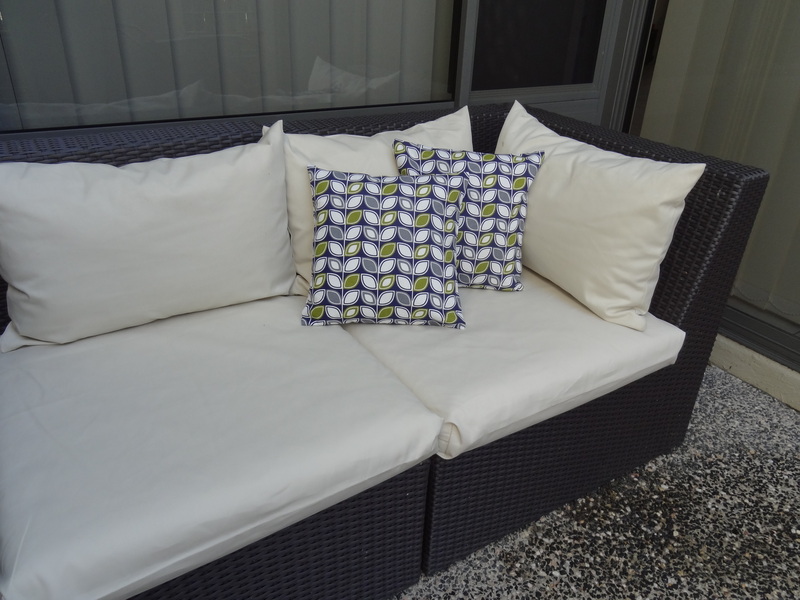 If you have particularly lofty cushions, or like a softer looking cushion, add a little more width and length to your cut material. 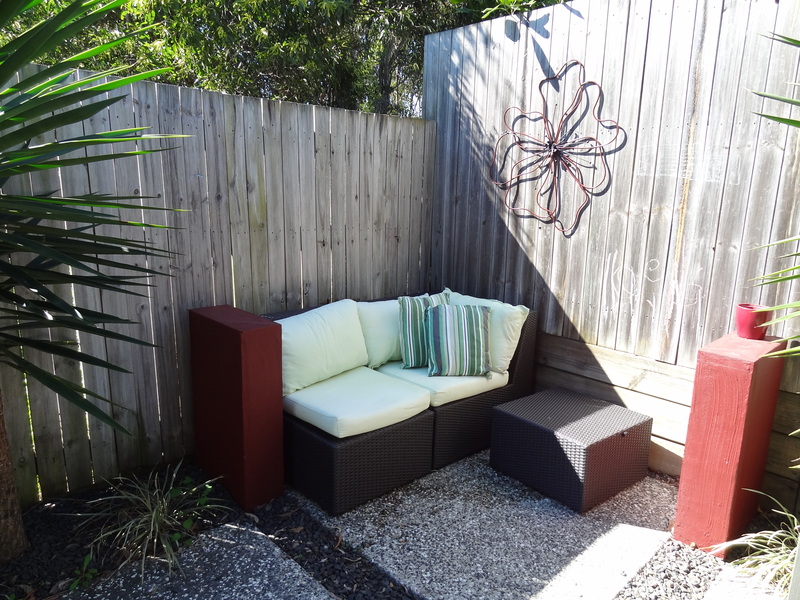 So here is my finished suite with my new scatter cushions. As it is a public holiday here in Brisbane, I think an afternoon refreshment on the ‘new’ lounge is in order. The rest of this alcove area will get a little bit of a overhaul when I claim some free time. I have a project I am itching to start that involves some serious garage sale shopping and spray painting. Welcome to a new week. 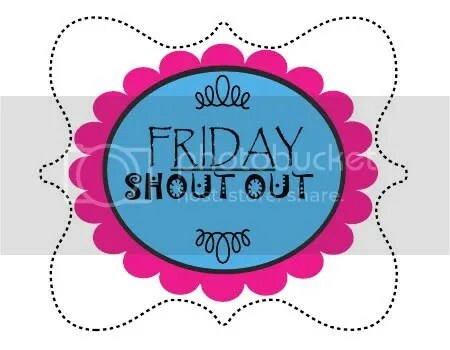 I hope you enjoyed your weekend. 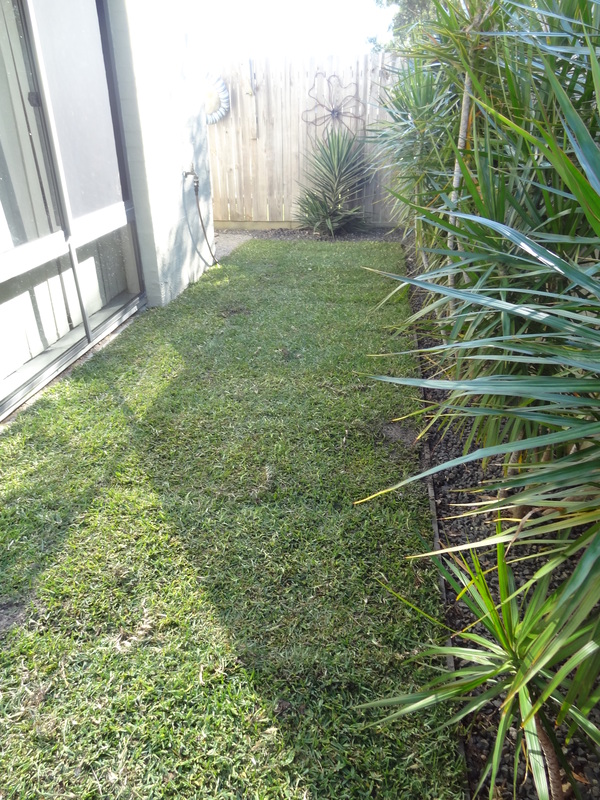 Ours was a full-on working bee around the yard but unfortunately I can’t see the progress. I think we only completed a few tasks, half completed most and had to let some fall by the wayside. So today I am in a bit of funk, annoyed that many of them will have to wait until next weekend. 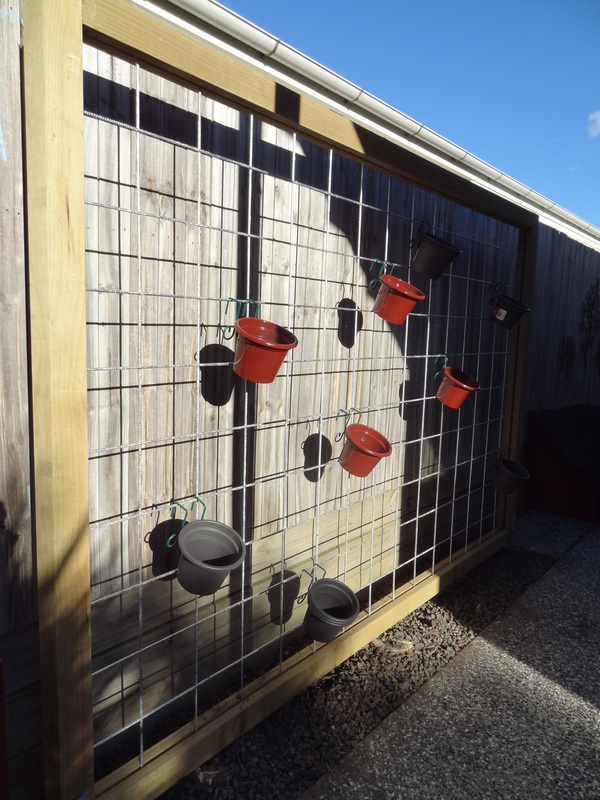 The good news is that the hanging herb garden that I wrote about here, is constructed. I love it! Sorry about the pics…the sun was going down. Over the next few days it will get a lick of dark grey paint like our patio. You can see that we have some pots hanging up but no plants as yet. The plan is to get some more pots. In fact I headed off to two garden centres to buy more today but they had both sold out. 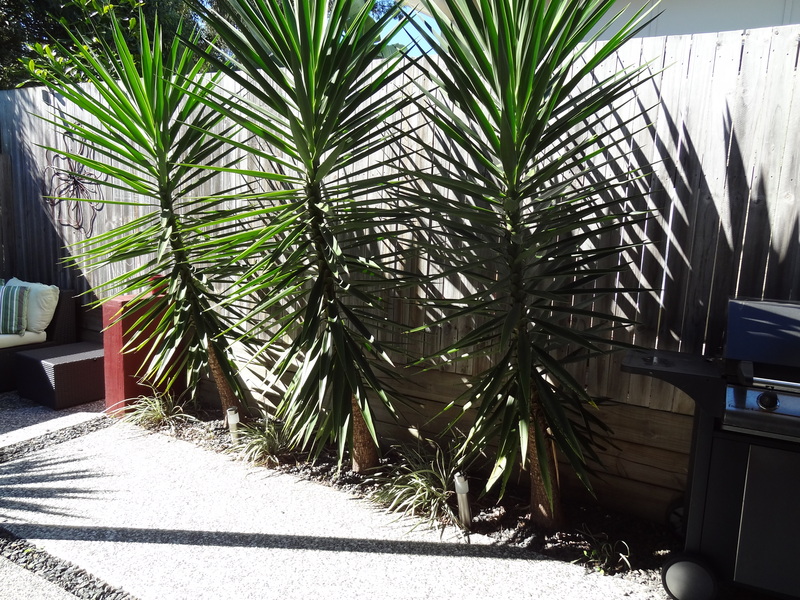 I have painted a few of the pots the Indian Red that we use as a feature colour in our yard. I am yet to decide whether they will all get a spray paint. 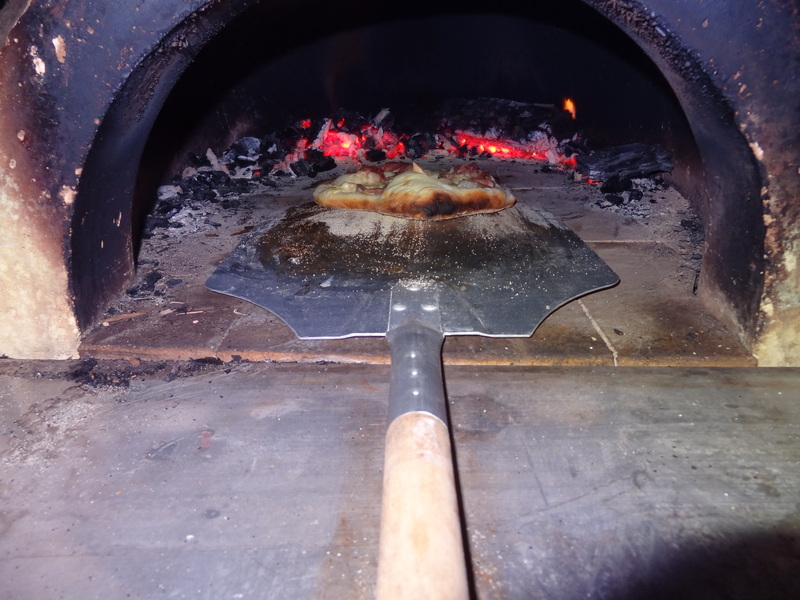 We started some prep-work for the woodfired pizza oven which should get started this week. I am so looking forward to trying it out. So after a very busy weekend outside, today’s cold morning saw us inside and me going CRAZY. I only just realised how much of a state the house is in. It isn’t just that it needs a tidy, literally every space has a project I would like to complete attached to it. These range from simple little aesthetic things to big, fat organising projects. After letting the enormity of it all depress me for half a day, I instead chose to seize the day. I worked out a little project/tidy planner and got stuck into the first room. 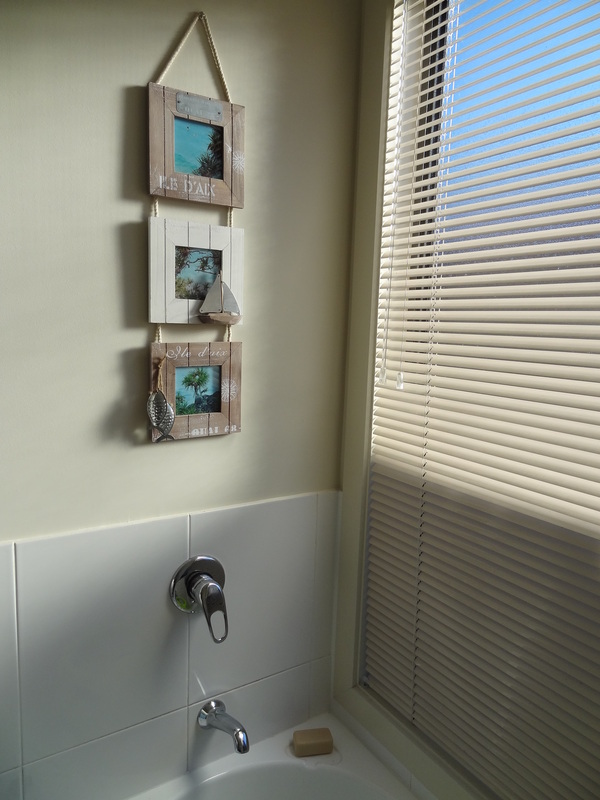 I began with an easy room – the bathroom. I hoped that after seeing one room clean and project free that I’d be even more motivated to complete the others. 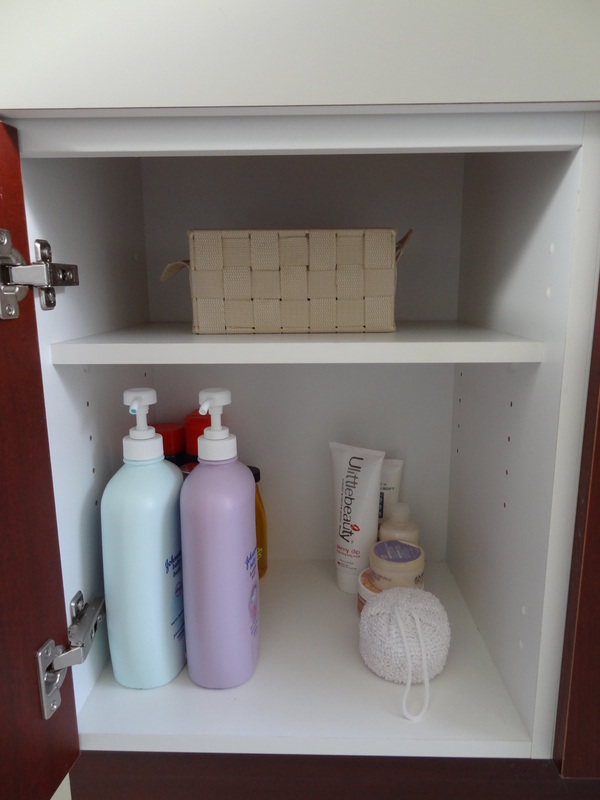 I gave everything a good clean including inside the cupboards and drawers. 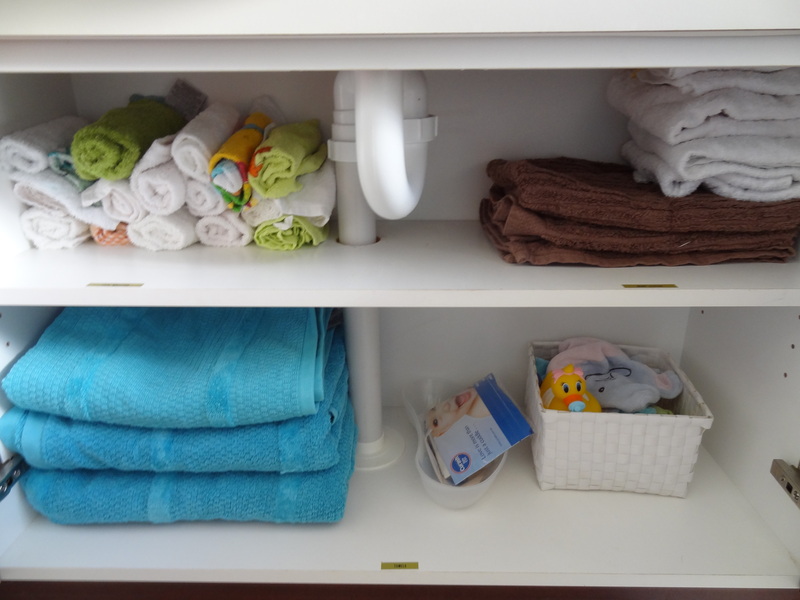 I threw away some old kid’s bath toys and towels and culled the toiletries. I packed away the baby bath as my little boy is sadly too big for it now. Once everything was spick and span I completed my project for the room. 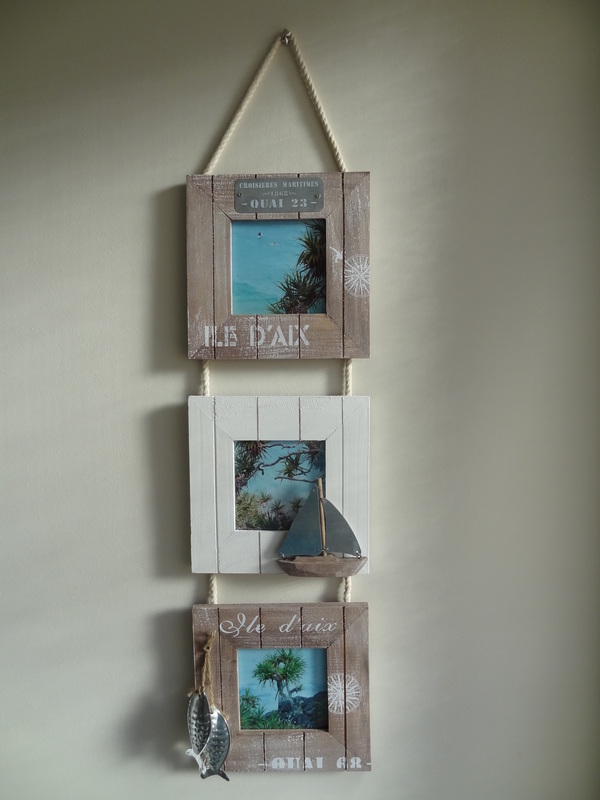 I had picked up this great set of seaside theme picture frames for next to nothing at Target. Years ago I had taken some lovely photos on a beach holiday so I found and printed them. Putting them in the frame, I hung the whole lot above the bath. It is only one room down and heaps to go in the process of regaining some order in the house, but I am already feeling happier and more energized to continue on. Here at the Crooked Household we love a big project. We have dozens of projects that have been dreamt up. Some have been altered, quoted, begun, delayed, squashed and the odd one finished. 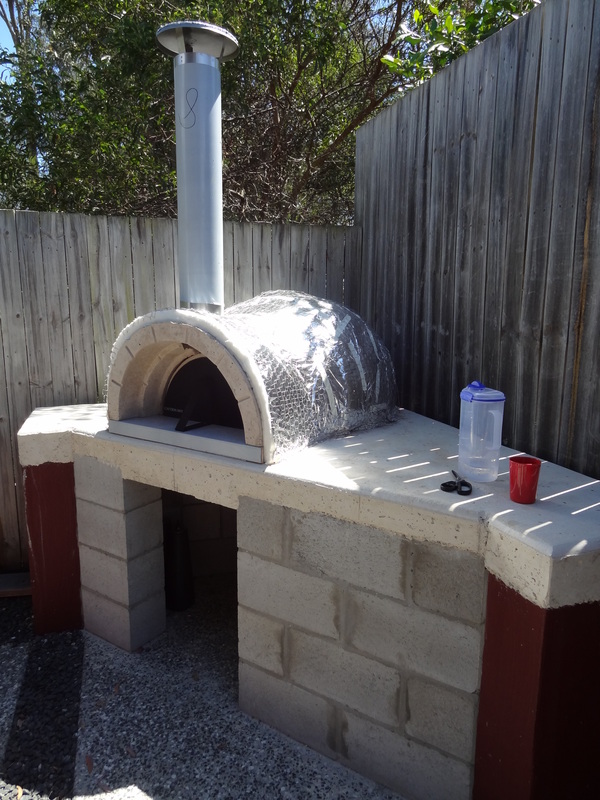 One project that we have had in a holding pattern for at least 3 years is a woodfired pizza oven. 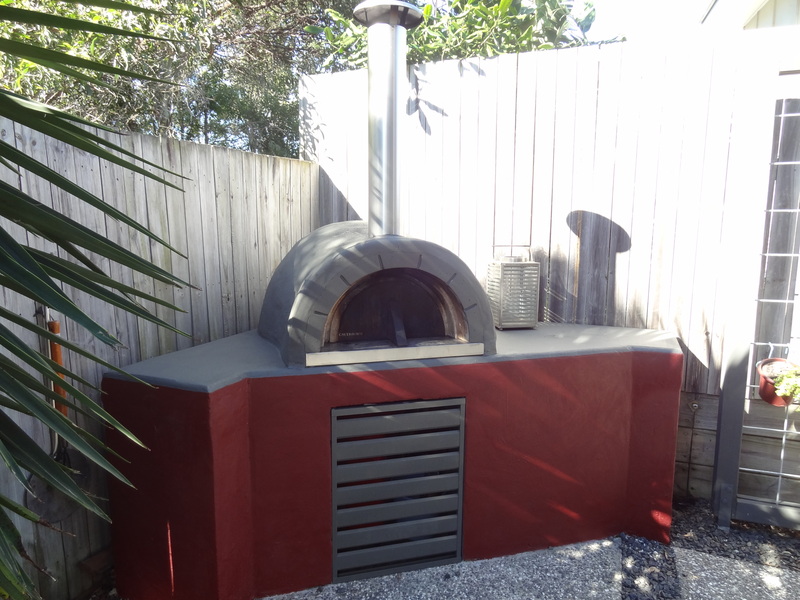 After watching ‘The Block’ 2012 season religiously the last few months, hubby and I were itching to complete at least one of those big project ideas and we chose the pizza oven. For those of you living outside of Australia, ‘The Block’ is a TV show competition where couples renovate and decorate derelict houses to be auctioned off. We love it. The couples have some great ideas and we especially loved Brad and Lara’s outdoor area, complete with pizza oven and hanging herb garden. 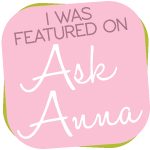 To have a look at pictures of their great area, pop over here. We love their idea of having the pizza oven as a feature in the small yard. 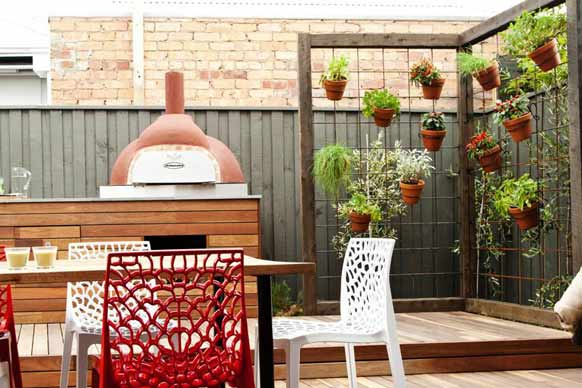 We also love the idea of the hanging herb garden so close to the pizza oven. You can just imagine reaching across and pulling off some basil leaves to put on your freshly cooked pizza, or breaking off some rosemary to put in with your roasting lamb. Yummm! 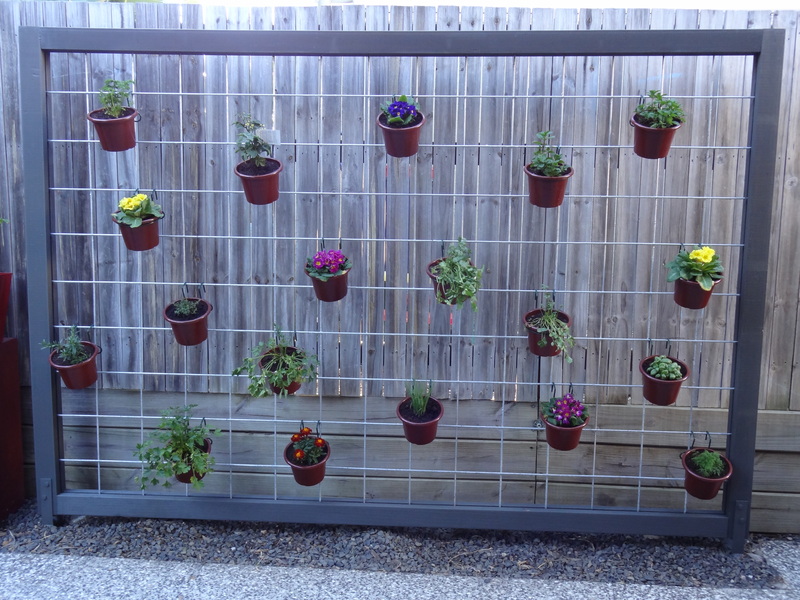 We too have a small yard and can see a pizza oven and hanging herb garden as perfect additions to our patio area. So have a look at our space. 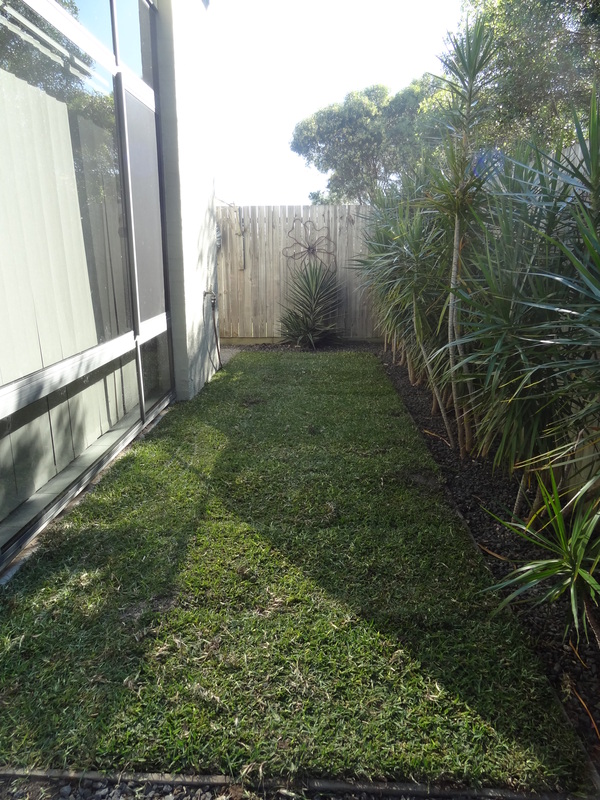 It used to have a strip of grass running down the side and along the back until we decided it was just plain annoying to mow. 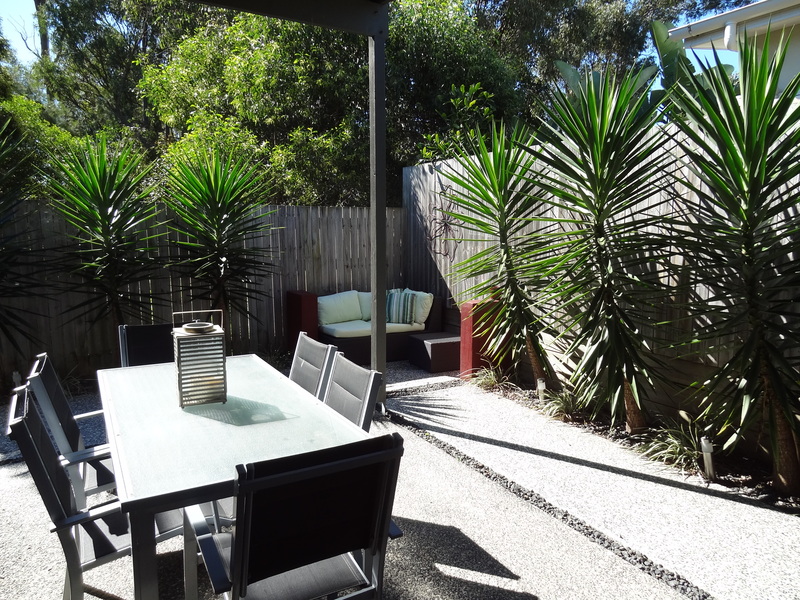 By adding more exposed aggregate slabs we created one big entertainment area. It is a lovely space when it is in use. At the moment it is the middle of winter so we haven’t been out there a lot, hence the dust on the table. In the top right hand corner currently sits the wicker lounge suite. The pizza oven is destined for this corner. It will be put on a rendered structure incorporating the feature piers that already sit there. This means that my suite will relocate to the front porch where it can sit undercover. It will get more use in that location and I will feel a lot better about leaving it uncovered there. 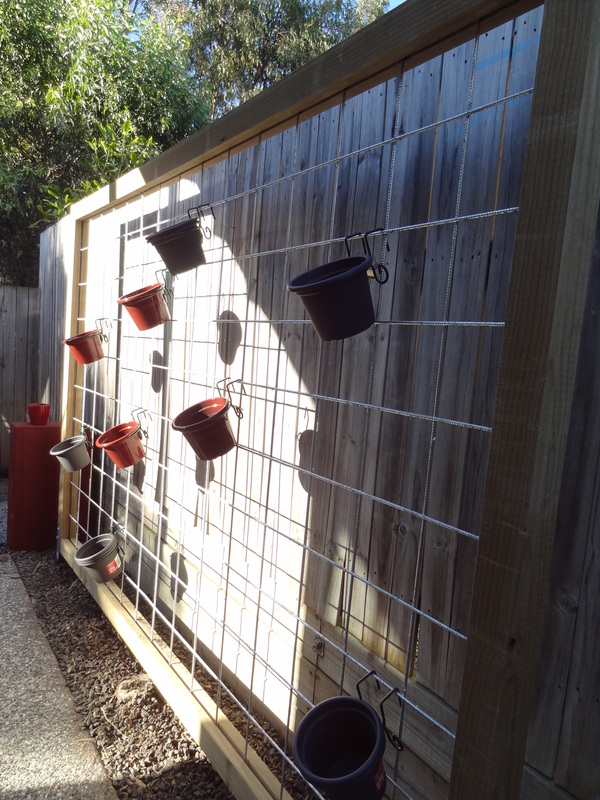 The hanging herb garden is destined to sit between the pizza oven and the barbecue where the yuccas currently sit. They have grown like crazy and are a little wonky, so it’s probably time they go. 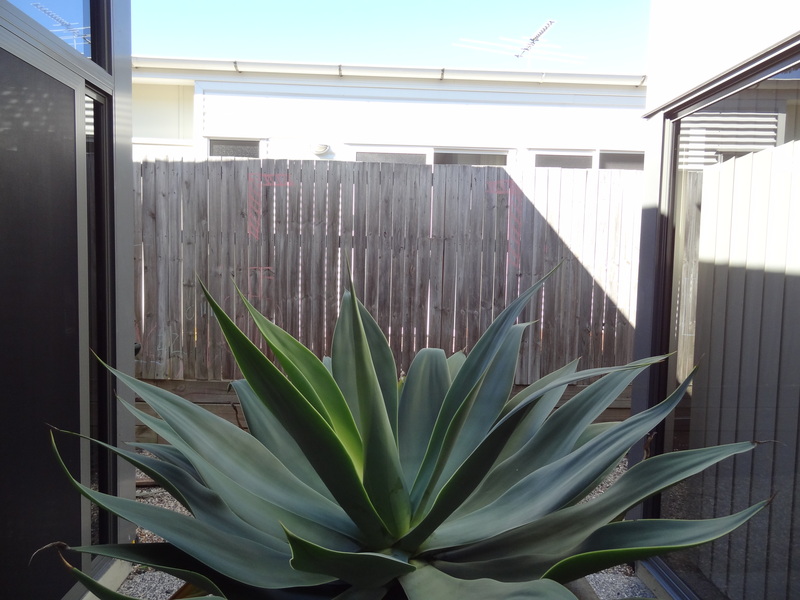 I hope to replant them in some capacity. 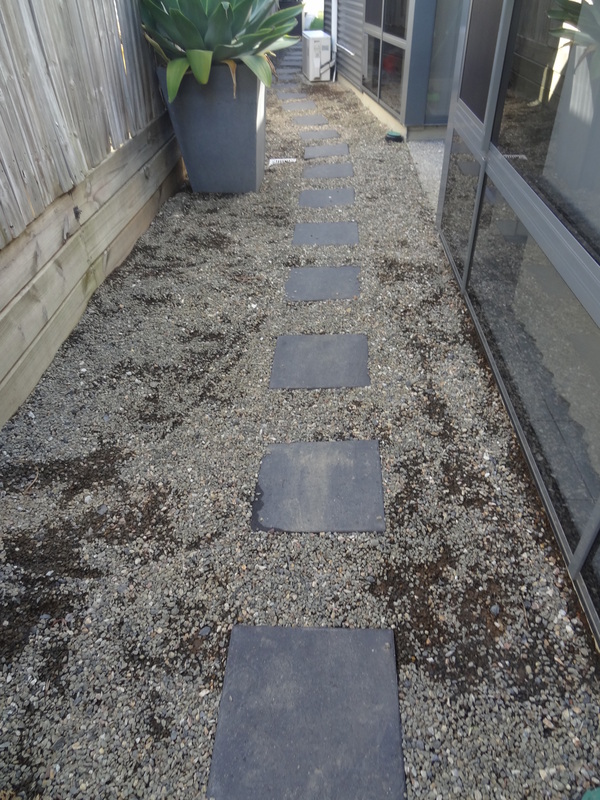 Like a typical Crooked project, the location for the herb garden was changed to here at the eleventh hour (the builder comes tomorrow). Previously, it was to go outside an alcove type area off our dining room. 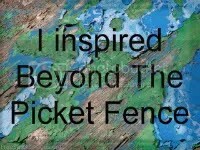 Can you see the chalk drawings on the fence to show the builder what we wanted? We spent a good chunk of yesterday afternoon working out the scale of the frame and removing the plants and garden bed that sat below where it was intended. 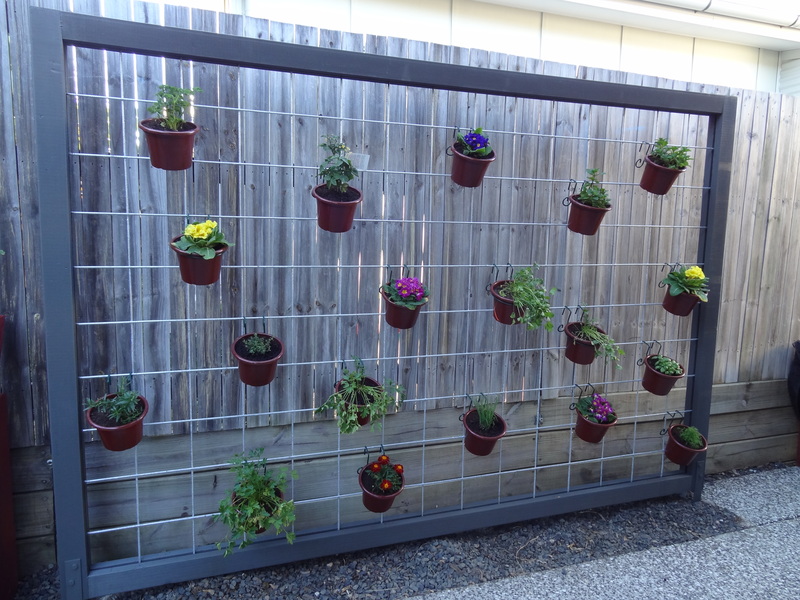 I am so excited to be having the herb garden’s frame put up tomorrow. 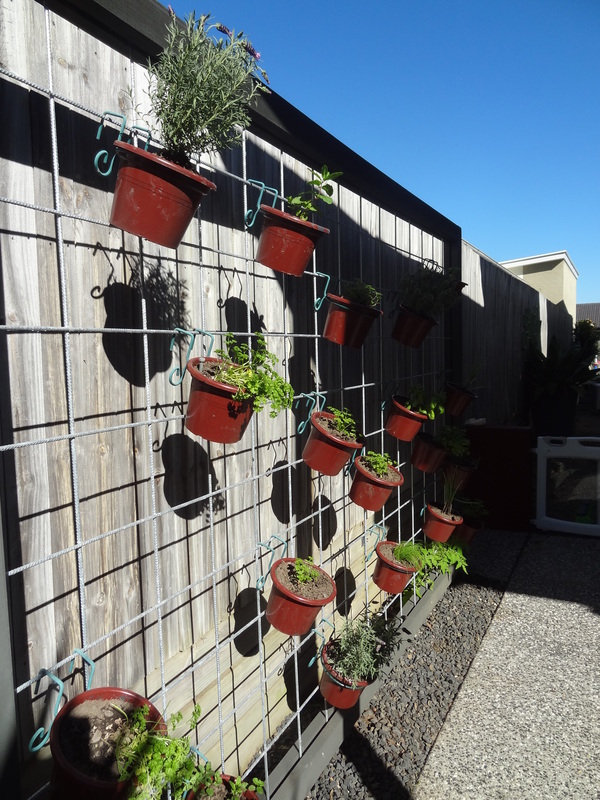 Hopefully after a visit to the garden centre and the markets on the weekend we will have our herbs hanging ready to go. 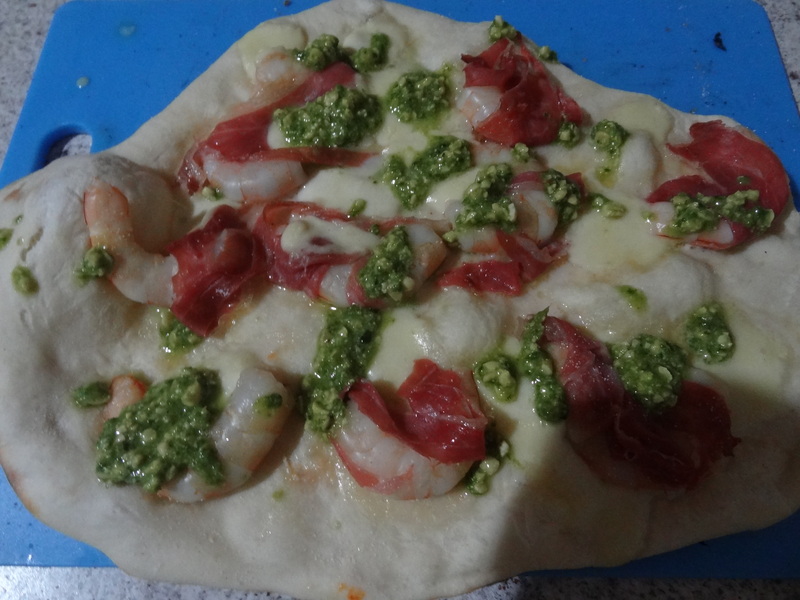 As for the pizza oven, we will have to wait another week or so. The rain we have had has made the ground behind us soggy. 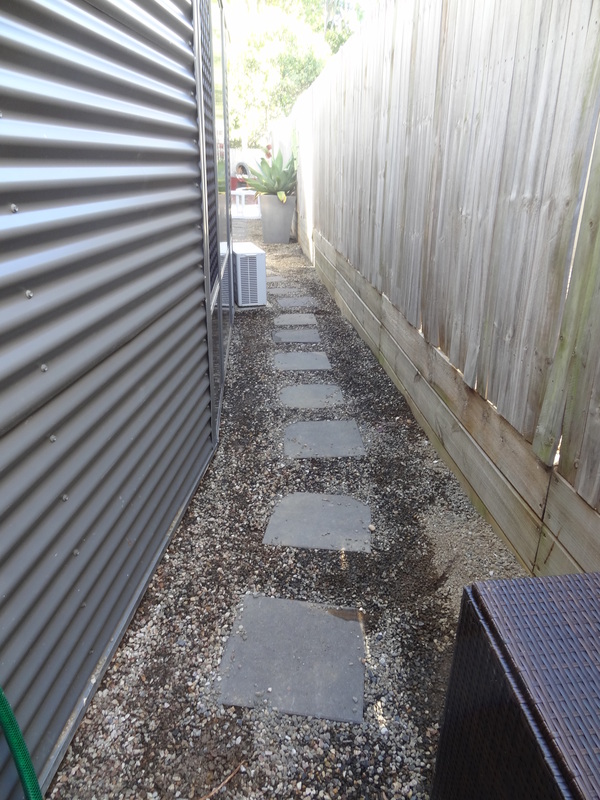 As the pizza oven is huge and heavy, there is no way we would easily get it down the narrow side of our house. Instead, we are taking down part of the back fence and driving the oven through the acerage behind us, to its intended spot. Thank goodness for lovely neighbours. If you would like to see how this project turns out for us, I would love for you to sign up to be a follower, either by email or Facebook.